The Mars Society and its Mars Desert Research Station (MDRS) management team are pleased to announce that MDRS Crew 189, currently at the Utah station, was selected to receive full scholarships for their three-week field simulation. This is the first time that the organization has awarded an entire crew the MDRS mission scholarship. 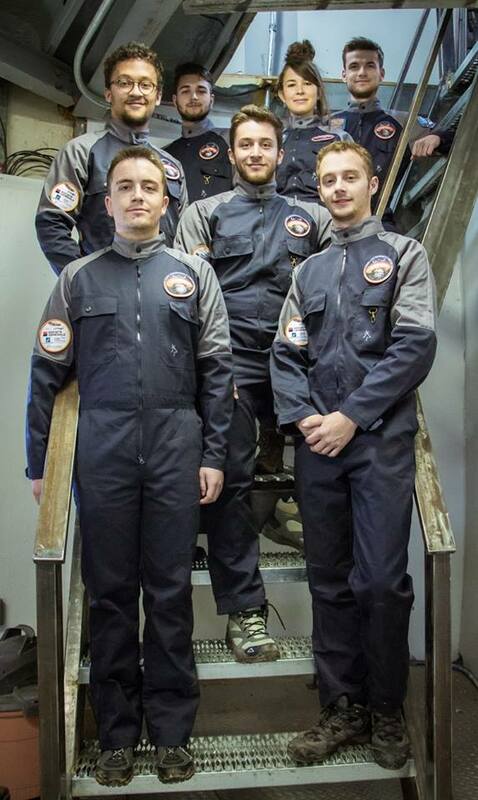 Crew 189, a team of seven students from ISAE SUPAERO, the first aerospace engineering school in France, was notified by Mars Society staff of the award late last year. The mission scholarship covers the full cost of the crew's participation fees at the research station during the 2017-18 field season. The seven crew recipients of the MDRS mission scholarship include Victoria Da-Poian (Co-Commander), Louis Mangin (Co-Commander), Laurent Bizien (Health & Safety Officer), Jeremy Auclair (Biologist & GreenHab Officer), Benoit Floquet (Astronomer), Gabriel Payen (Flight Engineer) and Alexandre Martin (Journalist). “Crew 189 was chosen for this scholarship due to their well thought-out research program, significant public outreach in advance of the mission and their co-commanders’ successful training of crew members, with the goal of first year participants coming back in a leadership role during their second field rotation. I believe this crew was truly a model on how best to prepare for a mission at our Utah station,” said MDRS program director Dr. Shannon Rupert. For more details about the MDRS analog program and Crew 189, please visit our Mars Society web site at: www.marssociety.org.